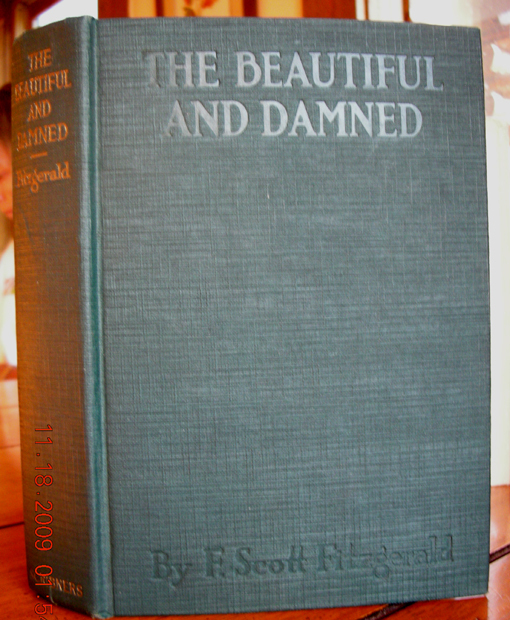 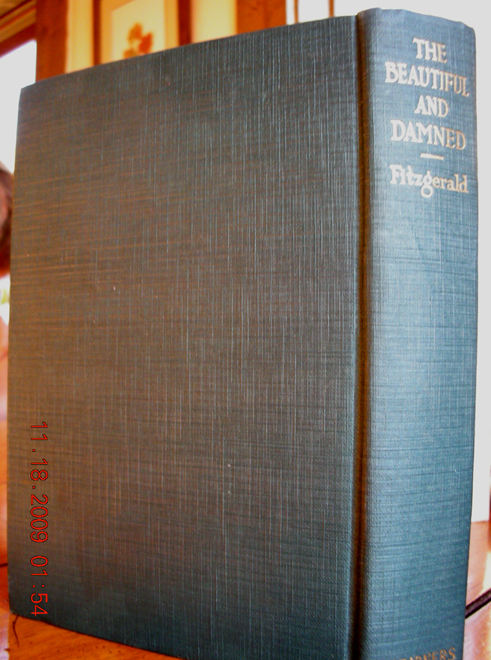 F. Scott Fitzgerald signed first edition, The Beautiful and Damned dust jacket signed, Signed - Fitzgerald. 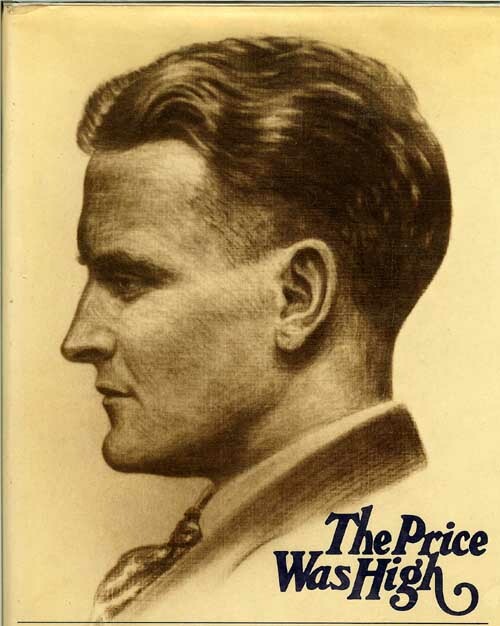 Always buying fine F. Scott Fitzgerald first editions. 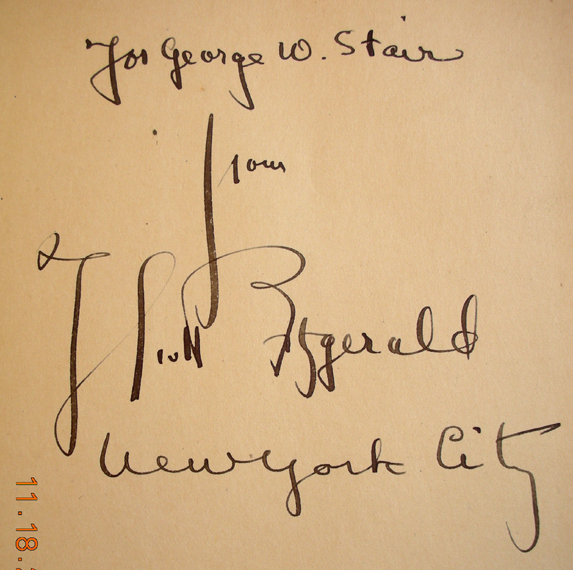 George W. Stair owned and operated a bookstore near Rockefeller Square in New York. 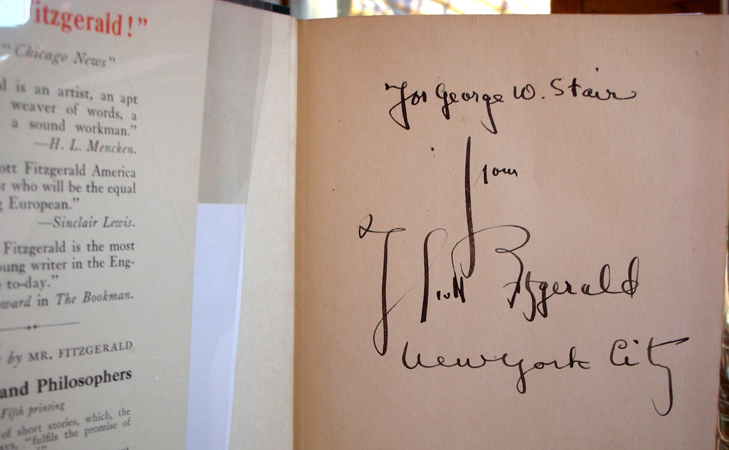 After he retired, the owners of Brentano's asked him if he would like head the rare and fine book department in their New York store. 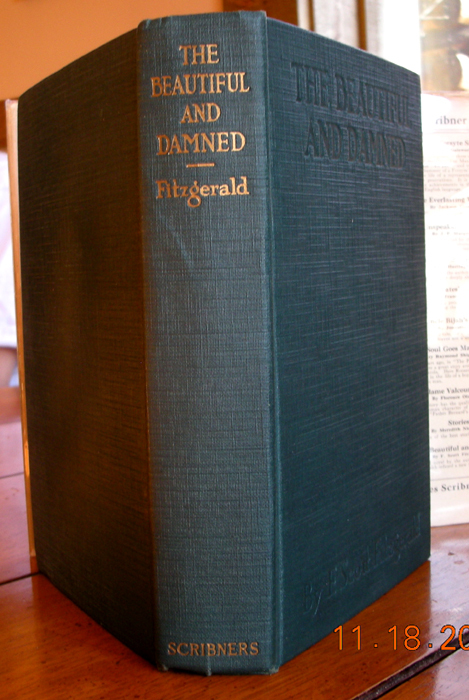 This book has an excellent provenance and one of Fitzgerald's artistic inscriptions. 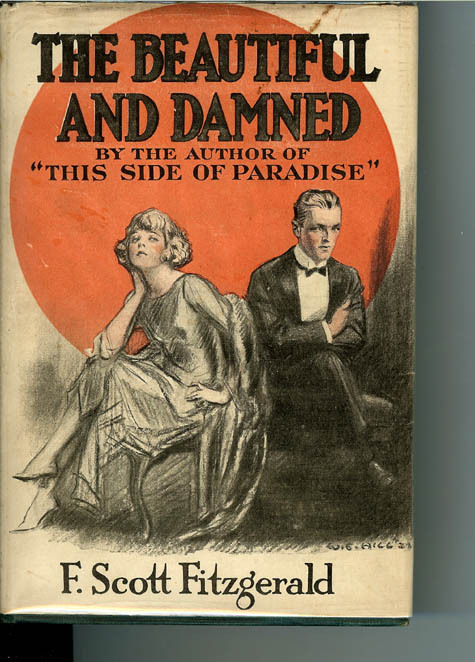 Book and original dust jacket are in very good plus to near fine condition, as the images on this page exhibit this. 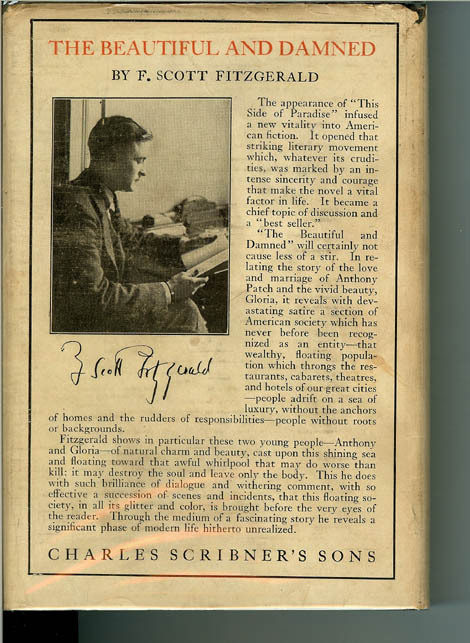 Scribner seal. 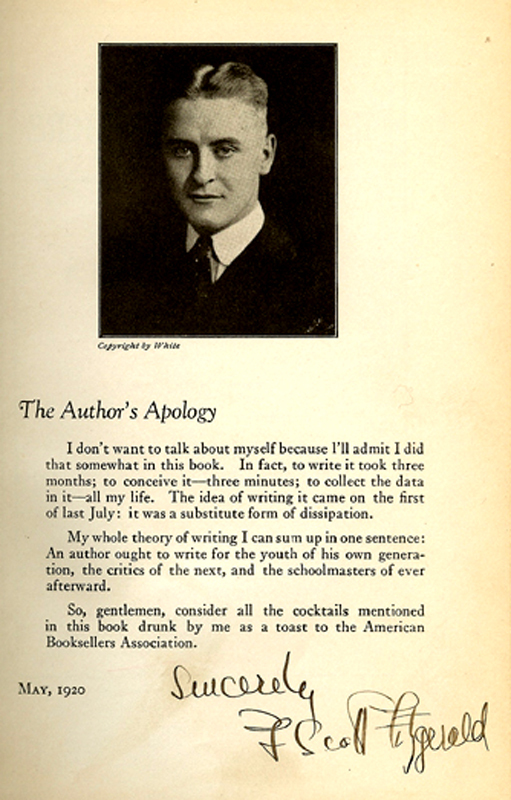 This book has excellent provenance.